The Pima County Wastewater Reclamation Department (RWRD) and its Advisory Committee will host a public meeting March 23, 2017 about its proposal to increase existing sewer connection fees by up to 4 percent in early 2017. The meeting starts at 8 a.m. in the Board of Supervisors Hearing Room, 1st Floor, 130 W. Congress. Sewer connection fees are charges homebuilders and new businesses pay when they connect to the sewer system or when they increase their potential to discharge to the public sewer system. 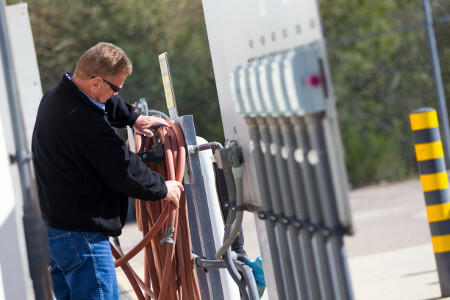 When a customer first connects to Pima County’s wastewater system or increases potential discharges, the new customer is required to ‘buy-in’ to the system by paying a connection fee based on the customer’s expected use of the available system capacity. Pima County uses water meter size to estimate that expected capacity use. In 2012, Pima County determined the one-time cost of system capacity was $4,066 for a residential-size water meter and $27,030 for a one-and-a-half inch commercial water meter. Pima County is currently reevaluating the cost of system capacity. Based on preliminary results, Pima County expects the one-time cost of system capacity may increase to $4,229 for a residential-size water meter and $28,111 for a one-and-a-half inch size commercial water meter. A full range of commercial meter size fees can be found in the revised ordinance. Sewer connection fees are separate from monthly sewer user fees, which are fees charged to current customers based on usage. The last connection fee change was in 2012. For more information about the proposed rate increase, RWRD officials encourage the community to attend the public meeting. Members of the public will have an opportunity to comment on the proposal. Those who cannot attend in person may review the proposed rate increase at the RWRD website, call Pima County’s Finance and Risk Management Department at (520) 724-3669 or submit their questions by email to Keith Dommer. The final recommendation to increase RWRD’s sewer connection fee by up to 4 percent is currently scheduled to be considered by the Pima County Board of Supervisors at the April 18 meeting.